OnePlus is going to launch a 5G smartphone in 2019. The company’s confirmed this in the past, but we now have a bit more information about where it’s going to fall in line with the rest of the company’s portfolio. A OnePlus spokesperson told CNET that the 5G device is going to be unveiled in early 2019, putting it in CES 2019/MWC 2019 territory. The latter would give it a great deal of exposure, although the Samsung Galaxy S10 might steal away most of the attention. 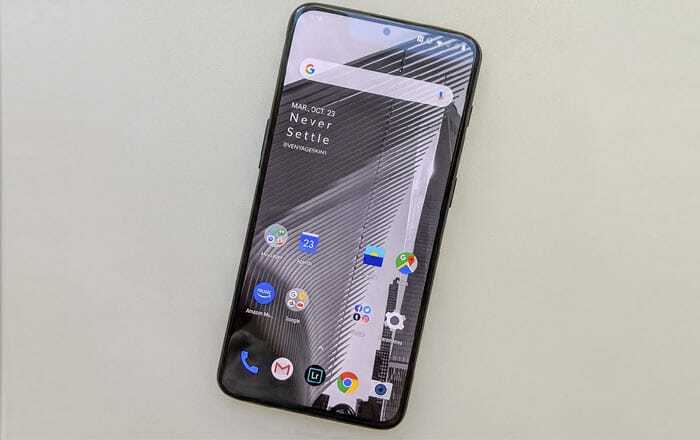 Before you assume the OnePlus 7 is making its debut early, you should know that this 5G handset isn’t part of the regular lineup which emerges twice every year. It’s going to be independent of that and be its own thing. Apparently, the brand can’t sell a 5G smartphone without a significant price hike. This would pose a problem for the regular series since it’s marketed as an affordable alternative to flagship phones. Having a separate 5G lineup would allow OnePlus to continue this tradition. After all, not everyone wants to experiment with cutting-edge network technology and pay extra for that privilege. 5G will eventually become mainstream though, so it’s only a matter of time before even the current lineup hops on board a few years down the line. OnePlus will need to offer something special if it wants to distinguish its expensive new series from the rest of the pack. Even Samsung reportedly has plans for a separate 5G version of the Galaxy S10. The non-5G models are set to arrive in February and the 5G one in March. OnePlus will have its work cut out for it in the 5G space next year. It should be noted that OnePlus hasn’t confirmed the name ‘OnePlus 7’ for its annual flagship release. Now that it’s changing things up with a 5G option earlier in the year, it could opt for a fresh naming scheme.